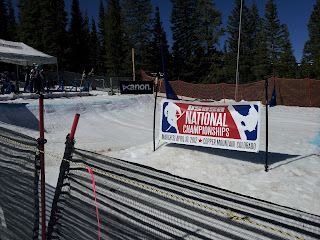 2012 USASA Nationals Recap Part 4: Tree riding finale (and more snow, please). 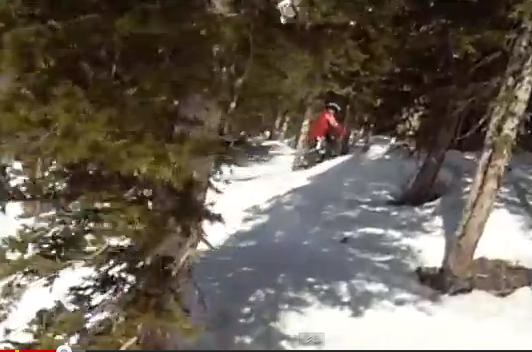 We spent the rest of our time at Copper riding through trees and exploring different areas of the mountain that still had ride-able snow. The trees and snow were fun, although our last day was very windy and icy (felt just like home on the east coast!). 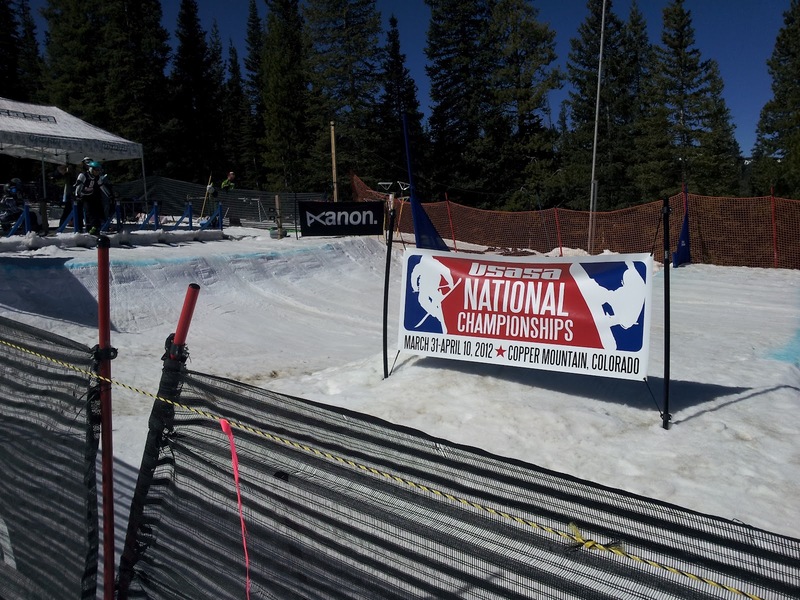 On Sunday, April 1, the first day of competition at Nationals, Rebecca and Nick spent time riding around at Copper, Eilis took a break to spend time with a friend, and Jb and I watched some of the open class boardercross races. Later that evening, our plan was to head west to an "unknown special surprise destination" that involved bathing suits and some hot water.